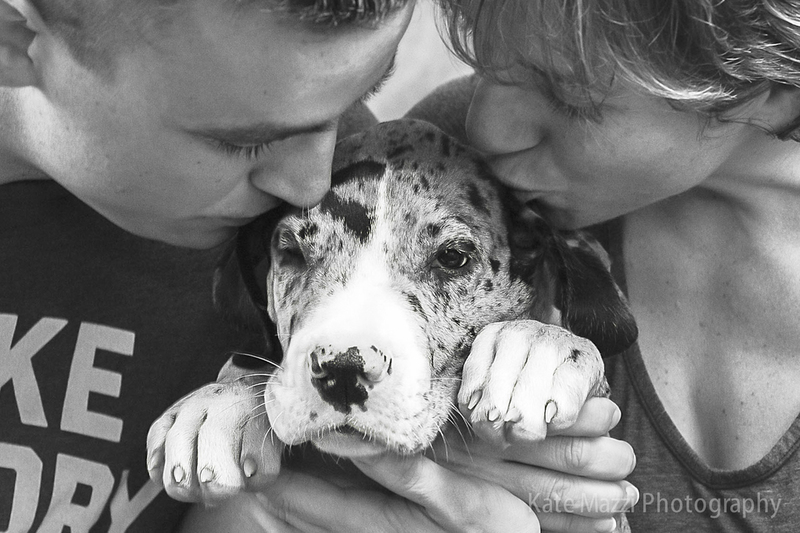 When I heard that Abi and Anthony would be getting a new puppy, I was more then excited to take some portraits. 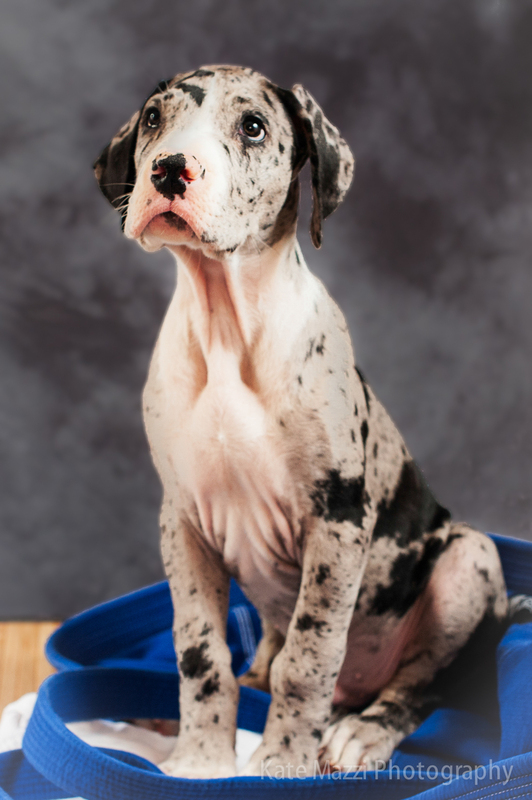 Even at 10 weeks, you wouldn't say this adorable Great Dane is tiny. I mean, look at the size of those paws! Before too long he will be huge. Being able to document these special memories with a photo session is one of the reasons I love being a photographer. Sweet puppy kisses are pretty rewarding too! Pepe's parents both actively train and compete in Brazilian Jujitsu so of course we had to get some shots with their GI's. Pepe has become quite popular at the gym where they train, Paramount Jujitsu, all the kids love greeting him. 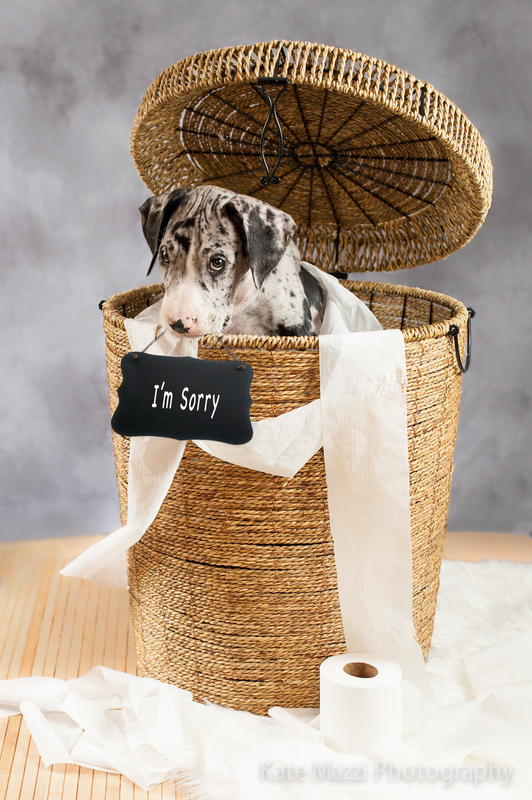 Although Pepe was such a good boy for his photo session, I just couldn't resist designing one portrait to apologize for any future trouble he may get into. Congratulations on your new addition, Abi and Anthony!